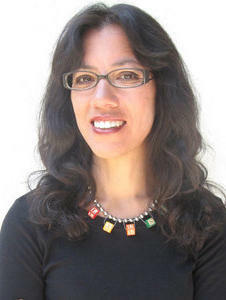 Sandra Tsing Loh earned her BS in physics at Caltech, from whom she won a Distinguished Alumna Award in 2001. She sorely disappointed her Chinese engineer father, however, by pursuing a career in the liberal arts. Aside from having been a regular contributor to NPR's Morning Edition, APM's Marketplace, and Ira Glass' This American Life, she is the author of five books, including the New York Times notable Mother on Fire, which reflects her passionate commitment to quality public education for all. Selected by Variety as one of America's 50 most influential comedians, Loh has starred in two original hit solo shows off-Broadway and at the Geffen Playhouse, Seattle Repertory Theatre, and the Kennedy Center. She is a contributing editor to the Atlantic Monthly and a composer whose music was featured in Jessica Yu's 1998 Oscar-winning documentary Breathing Lessons. Loh has two daughters and lives in Los Angeles.